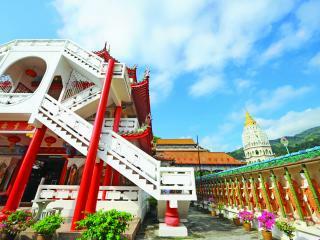 Visit some of Penang's great heritage sights on this Explore Georgetown Orientation. This half day tour includes entrance fees to Khoo Kongsi and Pinang Peranakan Mansion and coach pick up from Penang Hotels. 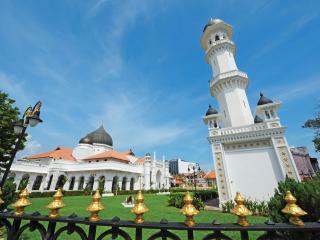 Highlights include Khoo Knonsi, Yap Kongsi and Pinang Peranakan Mansion. 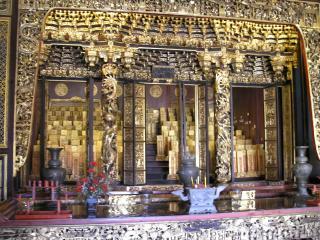 Explore the town of Georgetown with its many temples and rich heritage. Visit Khoo Knonsi, Yap Kongsi and the renown Pinang Peranakan Mansion which is home to over a thousand items of antiques and collectables of the acculturated Chinese era. 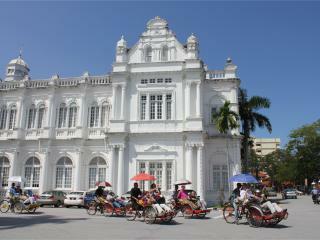 Enjoy a relaxing morning aboard the beca, an open-fronted 3 wheeled pedal-powered trishaw, and experience some of Penang's popular tourist spots fro this nostalgic point of view. Enjoy a visit to Kek Lok Si Temple known as The Pagoda of Ten Thousand Buddhas, followed by a a funicular train ride to the top of Penang Hill, where you will enjoy spectacular views over Georgetown. 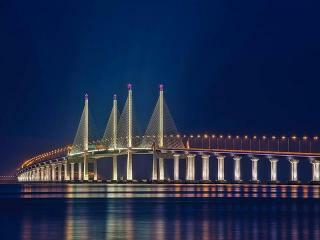 Embark on a special evening in Penang on this Scenic Night Tour, enjoying the sights, sounds and tastes of the area. Sample local cuisine with a sumptuous local meal, followed by a fun Beca or Jinrickisha ride, you will then travel across the Penang Bridge onto the mainland with a return trip by local ferry.